A house can look quite nice when it has a fresh coat of paint applied. However, it can look spectacular when the roof has also been restored. As a convenient service to make every house look brand new, not only do we offer our usual services as Brisbane House Painters, but we are also happy to provide a quality roof restoration, bringing life and style to an old home! Not only does a restored roof look amazing, but it also serves a vital function. Perhaps your roof has damage or leaks that you may not be aware of. Our qualified Brisbane House Painters will assess the roof and repair any damage whilst also reviving its vibrant colour with a new coat of paint. We are fully qualified and equipped to complete this service as we own all of our equipment, including scaffolding and cherry pickers. That means you don't have to worry about hidden charges for equipment hire! 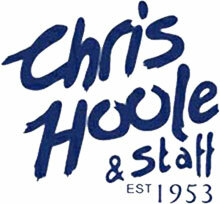 Chris Hoole & Staff Master Painters has achieved its high reputation and recognised brand name through our quality workmanship and vast array of services. We also make sure that we only use premium products to restore and protect your roof. This ensures that your roof will look better for longer and will be less prone to damage and leaks. We endeavour to do everything that is required to repair your roof and enhance the value of your investment and your property. Call the leading Brisbane House Painters firm today for a free, no obligation quote! Why Choose Chris Hoole Brisbane House Painters?